Do you sweat? Make this your Fitness Skincare! When you sweat after exercise, what do you do? - Just wipe your face with a towel? - Or just wash your face quickly after exercise and leave it at that until you reach home to shower? - Or just stack make up on it and have a proper cleansing routine once you reach home? No, the impurities are still there. Heat opens up pores. Sweating helps to flush out toxins to the surface of the body. And you need a whole skincare routine to ensure your skin is really clean. I dont have that kind of time nor the resources to do a full facial cleansing routine. Imagine everytime after exercise if you have to cleanse, tone and moisturise and reapply your makeup. It is tedious. Perhaps a quick clean and later at night upon reaching homw, i will do the proper ritual of cleanse, tone and moisturise. 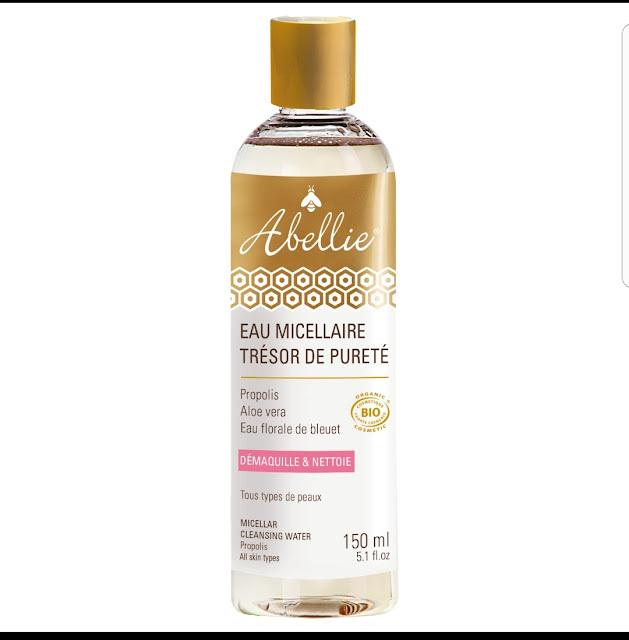 Right after i exercise, i wipe my face with a cotton ball/cotton pad dabbed with Micellaire water to rid it of the impurities of waste materials present in sweat. Once i reach home later, i will have my complete cleansing routine. Micellaire water consist of micelles - tiny balls of cleansing oil molecules, suspended in soft water. Micelles are attracted to dirt and oil, so they are able to draw out impurities without drying out the skin. - Good for dry and sensitive skin. - If you have oily skin, you may supplement it with a cleanser thereafter. Termed as "magic water", micellaire water can be used as a facial wash, makeup remover and moisturizer all in one. And it is ORGANIC and Bio-certified too, with bee propolis and aloe vera content. Choosing certified organic body care is as important in decreasing the toxic load on the body. Plants grown organically yield the purest oils and extracts, free from pesticide and herbicide contaminants. It also yields a higher level of antioxidant vitamins than non organic. Ensure that your organic skincare is BIO-certified. A must beauty carry-on when you travel. Dee Dee Mahmood, multi award winning Celebrity Exercise Physiologist and Nutritionist, is the Academic Adjunct Senior Lecturer at Edith Cowan University Australia. Her PhD research on obesity was chosen for its impact on obesity in Asia and was accepted and presented at the President's Cup Award, American College of Sports Medicine Northwest Annual Meeting in Tacoma, Washington. Ambassadors to brands like Reebok, Norwegian Seafood Council and Celebrity Beaute, this TEDX Speaker has several signature community programs to her name, Fat2Fit Asia and Walking Football for Health Asia. She conducts synergy on community and corporate health and research collaborations internationally. Dee Dee MOVES the community! Dr Dee Dee Mahmood, multi-award winning Celebrity Exercise Physiologist, Nutritionist, TV Presenter & Talk Show Host is the Academic Adjunct Senior Lecturer at Edith Cowan University Australia. Her PhD research on obesity was chosen for its impact on obesity in Asia and was accepted and presented at the President's Cup Award, American College of Sports Medicine Northwest Annual Meeting in Tacoma, Washington. Ambassadors to brands like Reebok, Norwegian Seafood Council, this Golden Key Honour Society Scholar and TEDX Speaker has several signature community fitness programmes to her name, Fat2Fit Asia and Walking Football4Health Asia. This media darling conducts synergy on community and corporate health and research collaborations internationally. Simpul biawak or leg muscle cramps happen when your muscle contracts on its own involuntarily resulting in a spasm. Here's the facts about farm-raised salmon. Do you know that Norway is the second-largest exporter of seafood? Thus it is not only extremely important for Norway to safeguard its environment and fish stocks for its economy - the future and sustainability - it is their priority. The Norwegian aquaculture industry has set the standard for high-quality and safe farmed salmon.